Call today on this ''Highlands Charmer'' because it will not last long! Highly sought after location near Douglas Loop, restaurants, shopping, coffee shops, parks and expressways. You will fall in love with the gorgeous interior and fabulous updates. Welcoming foyer has beautiful hardwood flooring that flows through most of the main level. Nice size family room to the left of the foyer has cozy fireplace and built-in shelving. This multipurpose room could also serve as a formal dining area. TOTAL kitchen remodel has new custom cabinetry with easy close drawers, granite countertops, stainless steel appliances that include double convection ovens, five burner gas range and oversized composite sink. Subway tile backsplash and glass pendent lighting complement this amazing eat-in kitchen.. First floor powder room conveniently located just off the kitchen area. Rear sunroom provides the perfect place to relax and take in the sights and sounds of nature. Second level has large master suite with double closets and window bench seating. Updated master bath has tiled shower with pivot glass door, raised sink bowl and beautiful lighted mirror. The 2nd floor has new carpeting and there is another spacious bedroom on this level. Walk-out lower level family room provides the perfect place to watch all your favorite sporting events and entertain friends. There is also a small side bar with granite counter and mini frig. Second master suite in the lower level is sure to pamper and please. Stunning spa bath with double sink vanity, oversized tile shower and raised soaking tub. Master suite also has a walk-in closet and separate shoe closet. 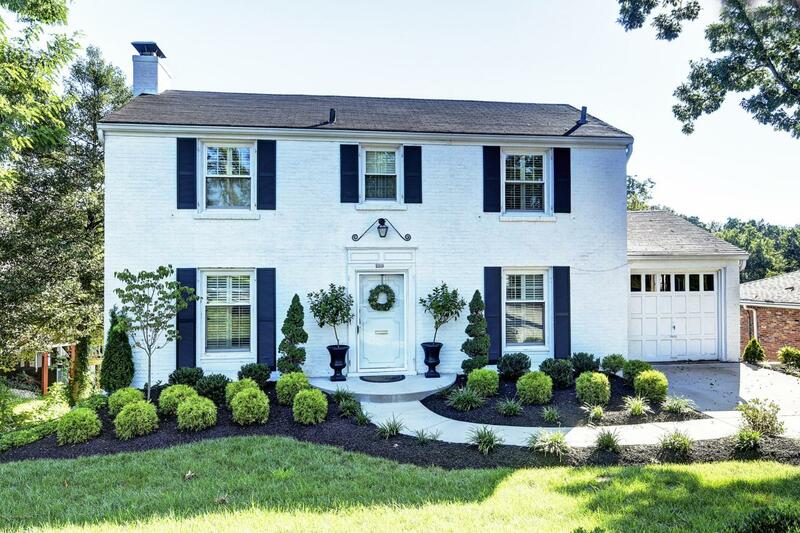 Some of the updates to this gorgeous home include new windows, new furnace 12/18, new electrical, new driveway, new concrete poured front walkway and stoop, new front parking pad, all new sinks, toilets, ceiling fans, lighting fixtures and plantation shutters. New lush landscape was also added to the entrance of this stately Highlands home. These meticulous sellers have worked tirelessly to make this home "Picture Perfect" for the lucky new home owners. They are also offering a one year HMS home warranty for added piece of mind. If you desire a beautifully updated home in a great location, this GEM is for you!